De Europese serie ging eerder al langs Schotland en Duitsland. Zweden is nu aan de beurt. De Zweedse jongerengroep is net begonnen en wij zijn hartstikke trots op hen. Hoe meer jongerenactivisten, hoe beter! My name is Rebecka Le Moine, I am 25 and I have always been engaged in the environmental questions, but what lies closest to my heart is the existence of species. 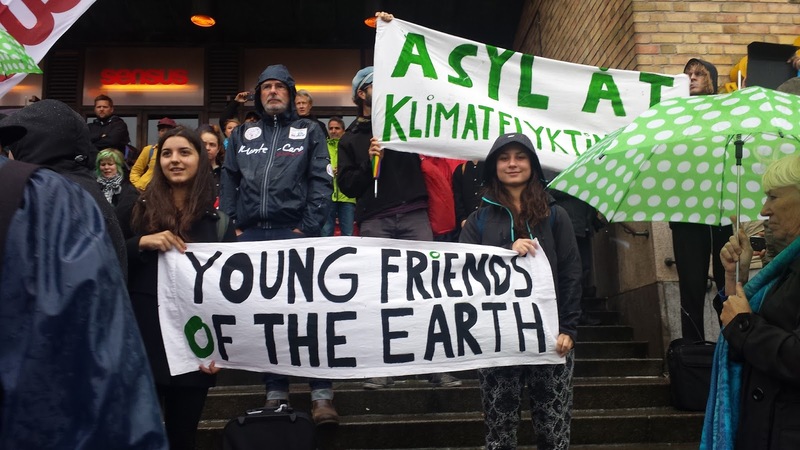 I joined Young friends of the earth quite recently, as I came into contact with hem in the demonstrations in Paris during COP21. After that, I decided I wanted to join! I went to the future conference, which was the first official meeting with friends of the earth for me. It was a really good conference, and the young friends of the earth Sweden decided to organize some kind of a steering group for our network. Our name is “Ung jordvän”, which would be “young earth-friend” translated, which is kind of cute. The group is spread all over the nation, and has existed less than one year. So far, it has been absolutely flat and we have been communicating on a facebook group. But sometimes this is not a proper way of doing stuff, so we decided that we should formulate some guidelines and “rules” about how things should be carried out sometimes, in the decision making for example. Eager as I was, I went to the YFoEE gathering meeting in Malta to connect with young activists from different parts of Europe and learn about their strategies and structures. This was really helpful for me, and we are currently working on setting up a structure and trying to get the YFoE Sweden more active! One action that Ung Jordvän was participating in was for the refugees in September 2015, with banderols with the text “asylum for climate refugees”. As we have not been so very active yet we have not started to participate in the different working groups, but of course we want to in the future. This will be an important topic, to see who are interested in what. 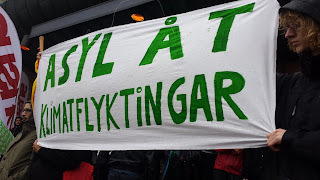 I am, as mentioned, very interested in setting up a working group about biodiversity, and therefore I will try to recruit people to this group, both in Sweden and in Europe. Our next opportunity to meet will be at the annual meeting, 23-24:th of April, and we’re hoping we can gather YFoE Sweden and do an inventory about what we want to do and how. It’s cool to think that we are a part of a bigger network, at an European level. As the JMA is having their 25:th anniversary, maybe we could do some solidarity action as a gift to them and in the same way get inspiration from a more experienced organisation.